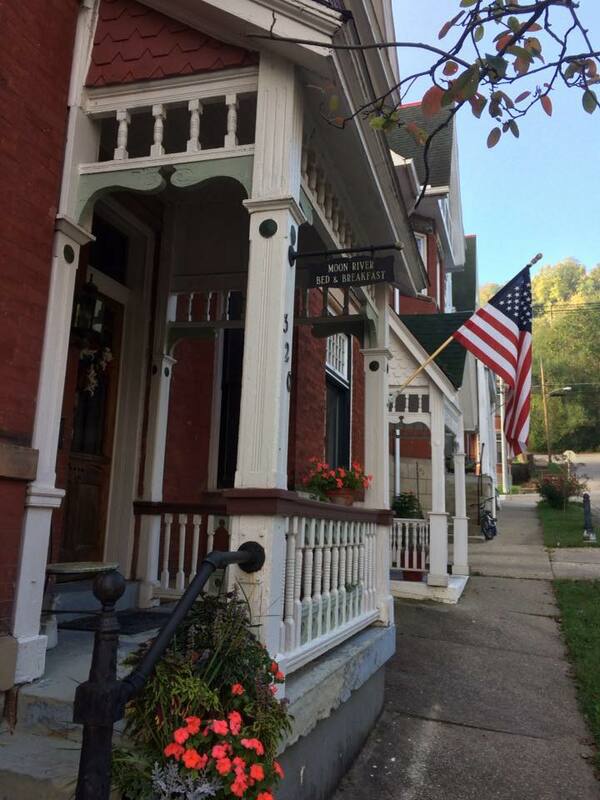 Our beautifully renovated 1888 row house is located in the heart of historic downtown Maysville, Kentucky. Moon River B&B visitors will enjoy a completely renovated 1888 Row House. Modern amenities are discreetly integrated into the historic beauty. Owners Marti and Mike Insko live on site to provide for your needs. Marti Insko looks forward to serving the needs of a diversity of travelers and will provide a “leisurely” full breakfast on the weekends and continental breakfast on weekdays.